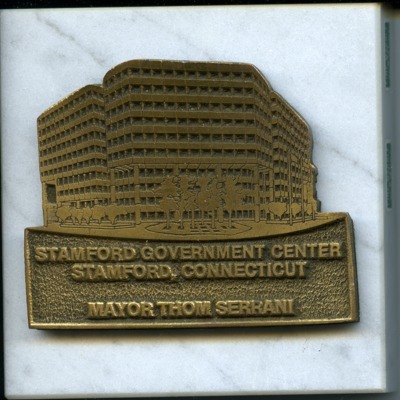 Marble and brass plaque commemorating the opening the Stamford Government Center on April 22, 1987. The plaque has a representation of the building diecast in brass mounted on a square of white marble. 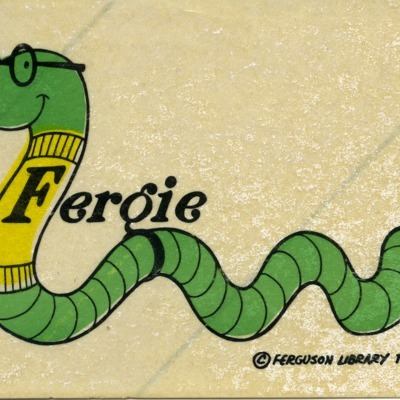 Sticker depicting Fergie the book worm, a mascot of the Ferguson Library in Stamford, Connecticut. 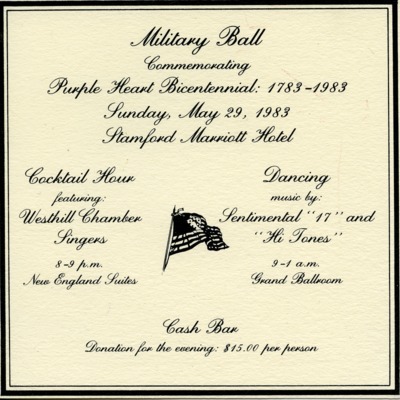 Invitation to the military ball that was held to commemorate the Purple Heart Bicentennial at the Stamford Marriott Hotel on May 29, 1983. 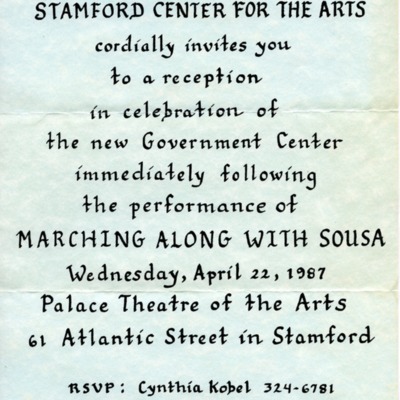 Ernest A. DiMattia Jr. was on the planning committee to recognize the occasion. 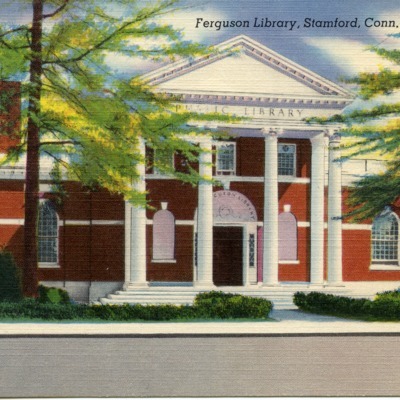 Postcard with a colored illustration of the Ferguson Library in Stamford, Connecticut. 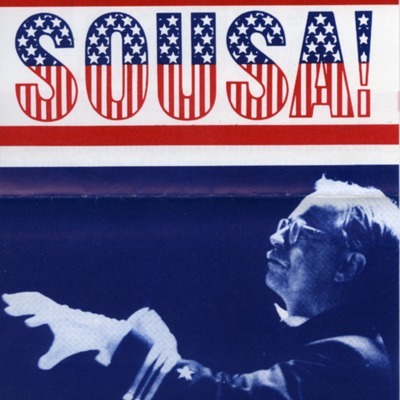 The view is from the opposite side of Broad Street. Postcard with a black and white photo of Central Park in Stamford, Connecticut. 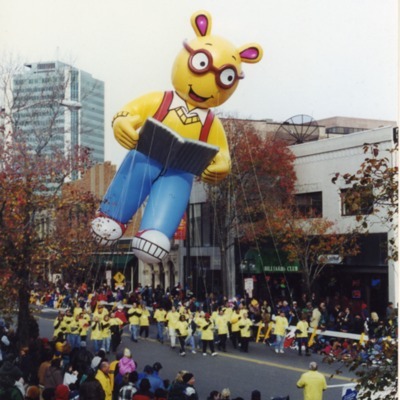 The park is located at the intersection of Atlantic and Main Streets. 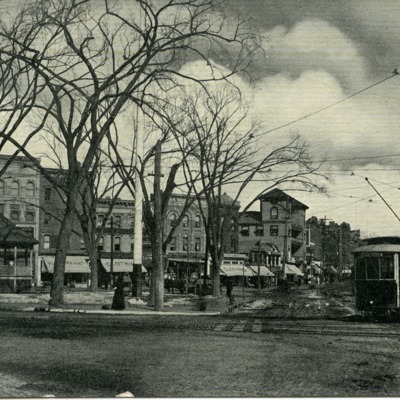 A streetcar is visible on the right side. 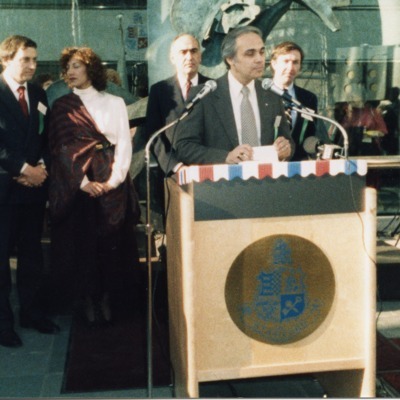 Ernest A. DiMattia, Jr. speaking at the opening of the new Stamford Government Center located on Washington Boulevard on April 22, 1987. 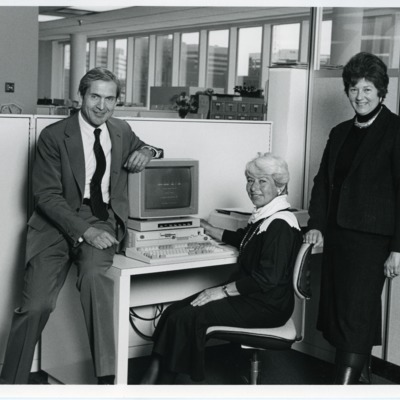 He is standing at a podium with the City Seal of Stamford on it.